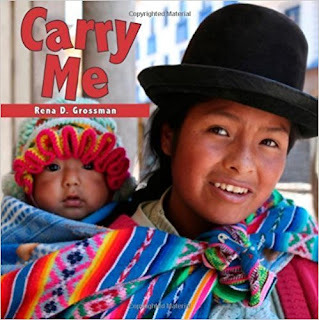 Carry Me is a board book in the Babies Everywhere Series from Star Bright Books. Like other books celebrating Multicultural Children's Book Day, what we have below is a review of the title. This book has about a dozen different varieties though. In addition to it being available in English, you can also pick up a version that is French/English, Spanish/English, Chinese/English, Amharic/English, Somali/English, Haitian Creole/English, Vietnamese/English, Portuguese/English, and Spanish. The Carry Me book is twenty pages long and shows eight pairs of pages of babies being carried. Each pair of pages shows a different way that babies are carried, like on your chest, in a backpack, and tucked in a blanket. The nice thing about the book is it shows how things are done internationally, not just here in the states. On the ninth set of pages, it shows where each baby is from. While six pages are in the US, you also have babies in China, Ecuador, England, Scotland, Kenya, Peru, Russia, and Scotland. It is a great way to expose your child early to the world at large and the uniqueness each country's culture offers. 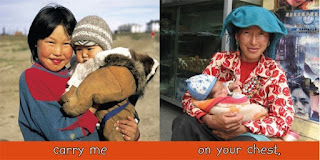 In the non-English versions of the book, instead of the side by side pages showing how the children are carried, instead they just repeat the Carry Me verbiage in the other language. You don't get as much of the vocabulary building of the single language titles, but you still get the diversity of the world aspect of it. 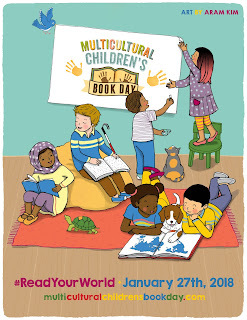 If you're interested in exposing your child to that diversity of the world at large, you'll love this book to read to your child. These books also make great gifts for the 0-2 crowd. You'll also love the publisher Star Bright Books. While this book is ONLY available in ten different language versions, they have different books in a total of twenty-eight different combinations. Be sure to stop by the Multicultural Children's Book Day blog to check out the giveaways, Twitter Party, and other events going on. You'll also find reviews for a ton of other multicultural books. This looks so sweet! I'm glad to see it's available in different languages. I carried my babies on my back. I practiced attachment parenting when my kids were babies and carried them everywhere using the baby sling. I loved it. It's interesting how it's so common in many cultures. Such a sweet book. Thanks so much for your review and for celebrating Multicultural Children's Book Day with us. LOVE ! Have you seen that movie that's about babies in different countries? Can't say I have. Got a title?